Providence Care’s mission is to enhance quality of life by meeting the physical, emotional, social and spiritual needs of each person. 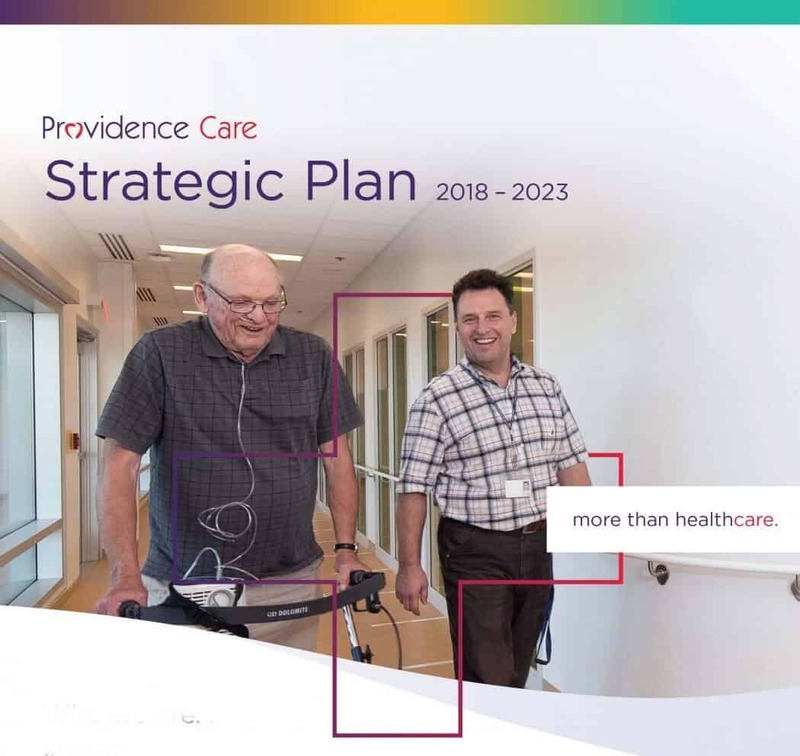 These operational priorities, which built on our previous strategic plan through to 2018, resulted in a range of achievements and a number of new initiatives across Providence Care, many of which have now become part of the way we do business. We are excited to officially launch our new strategic plan which will take us into 2023. The aim over the next five years is to continue to enhance lives and transform care as a Catholic academic health care organization. Our services are well-known and accessed. 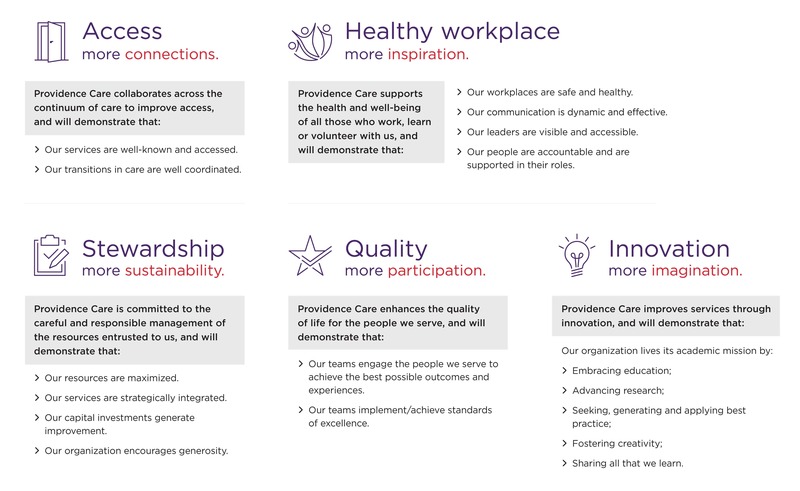 Our transitions in care are well coordinated. Our workplaces are safe and healthy. Our communication is dynamic and effective. Our leaders are visible and accessible. Our people are accountable and are supported in their roles. Our services are strategically integrated. Our capital investments generate improvement. Our teams engage the people we serve to achieve the best possible outcomes and experiences. 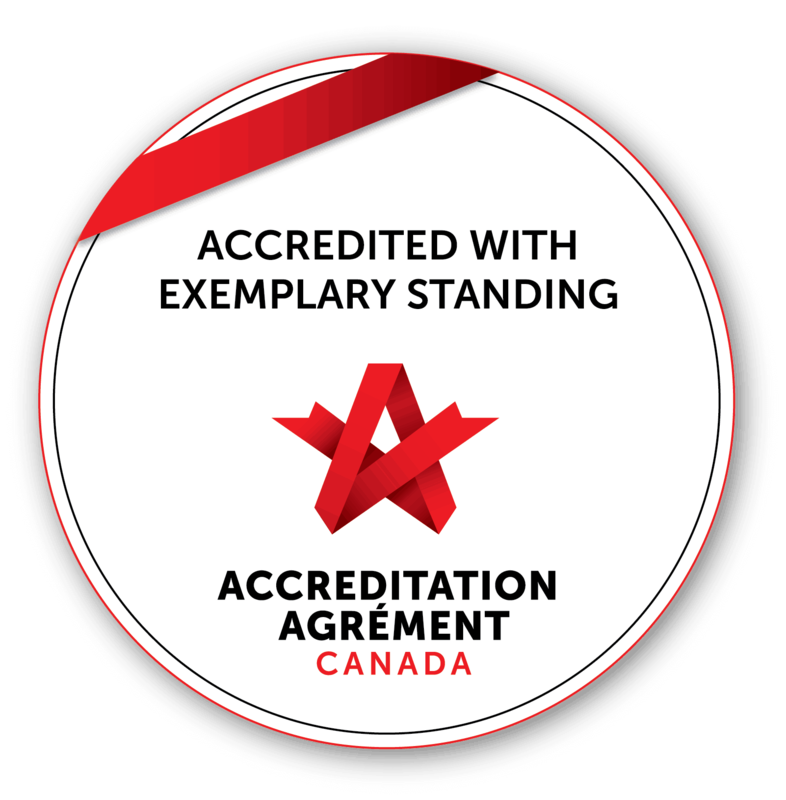 Our teams implement/achieve standards of excellence. Sharing all that we learn.